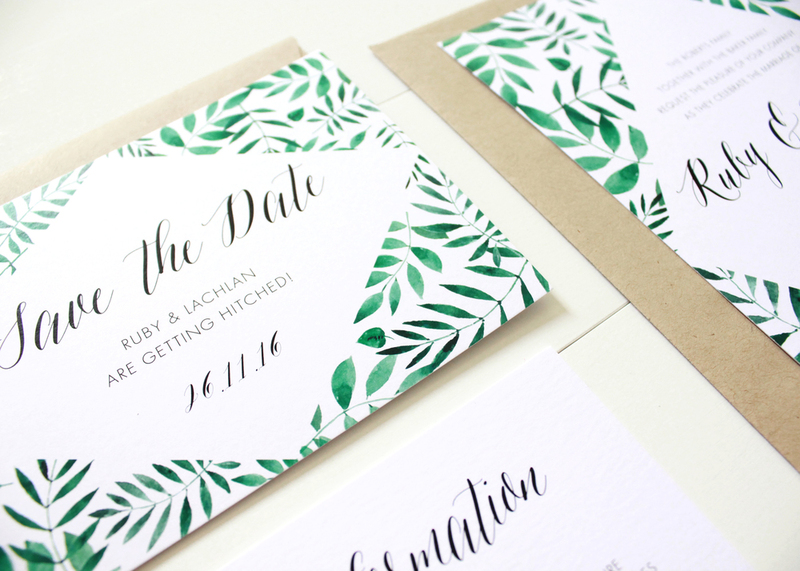 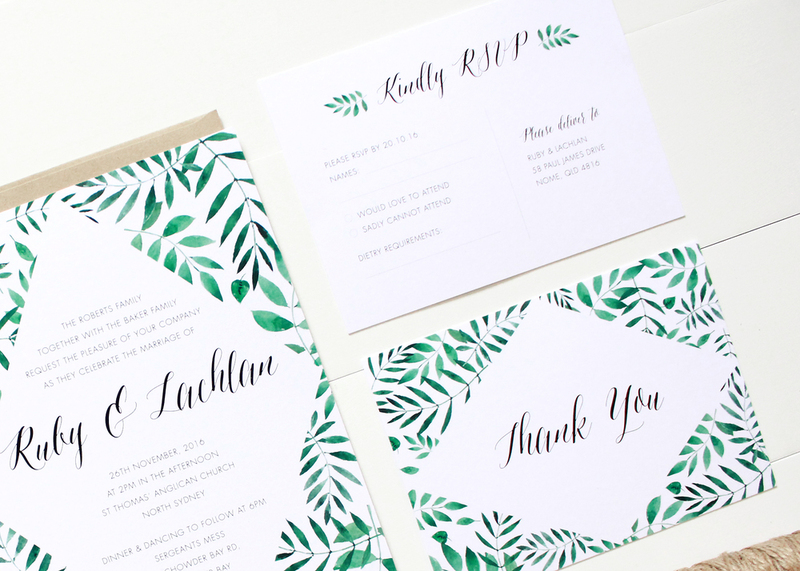 A leafy, green and modern suite featuring watercolour palm leaves and foliage. 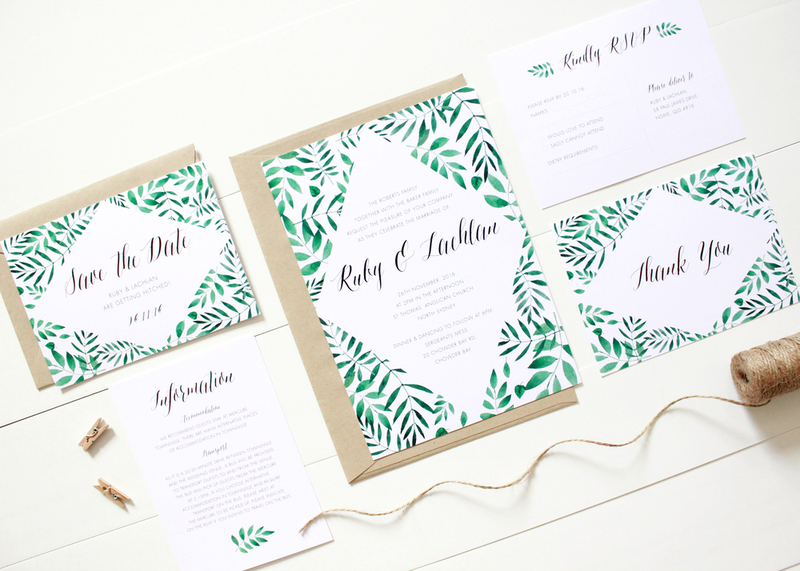 Perfect for an outdoor wedding, garden /tropical theme or any lover of greenery. 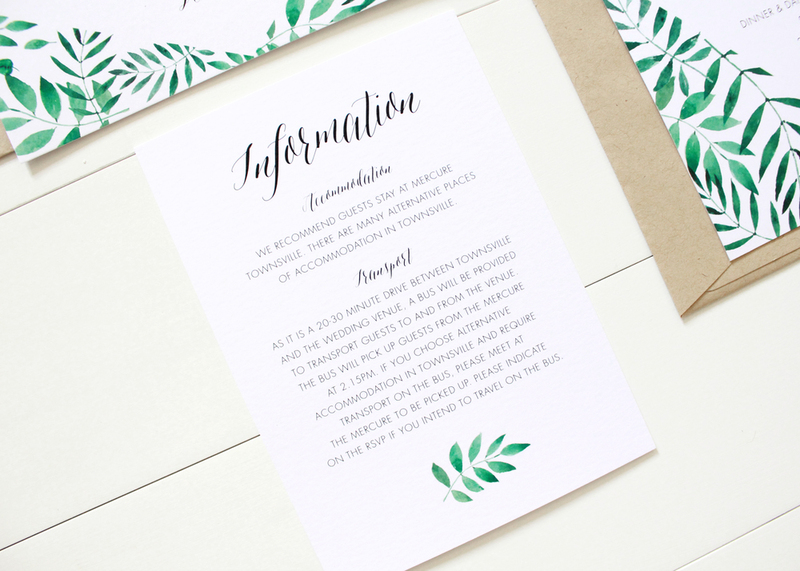 For this specific suite, you can customise the heading and text colour to compliment the colour theme of your wedding day.